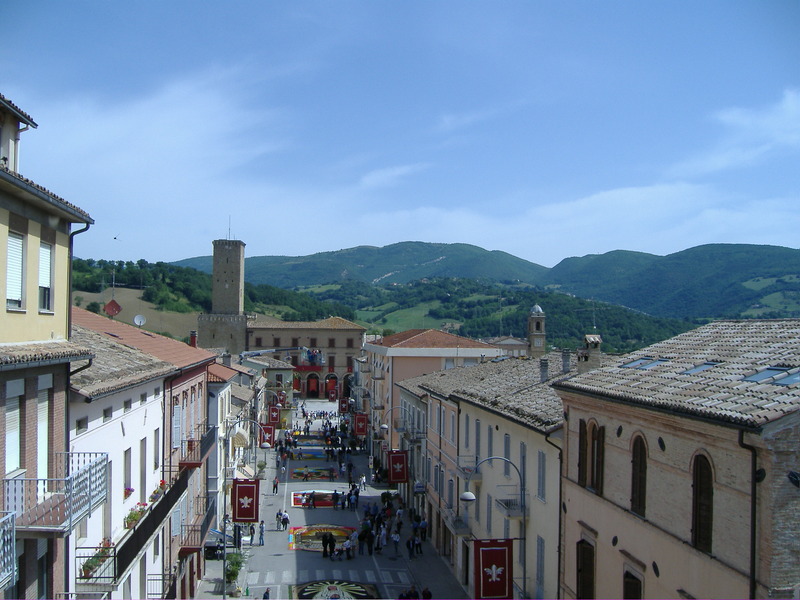 The township of Castelraimondo, (il centro) where there were several bars, cafes and restaurants, post office, supermarkets, bakeries, specialty stores etc is only a 10 minute walk from the school. 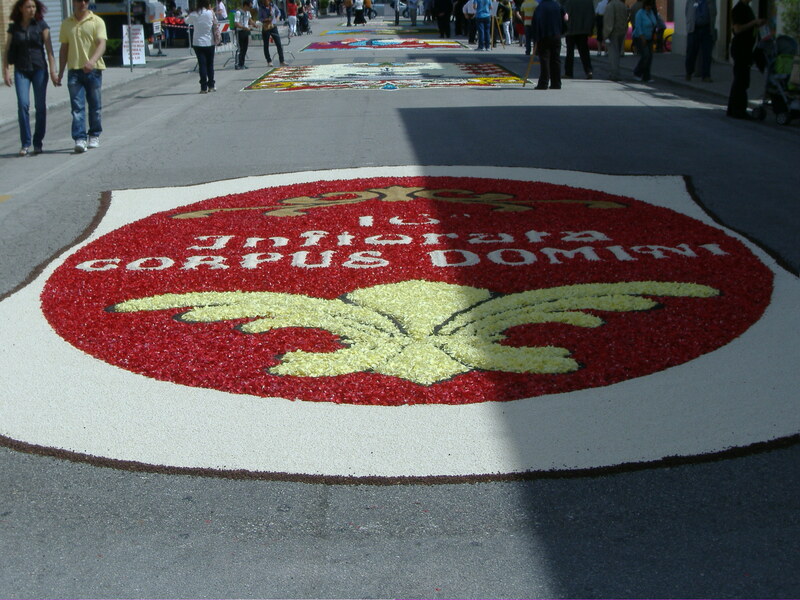 Castelraimondo is a beautiful, small town only 50 km from the Adriatic sea and close to the Sibillini Mountains. 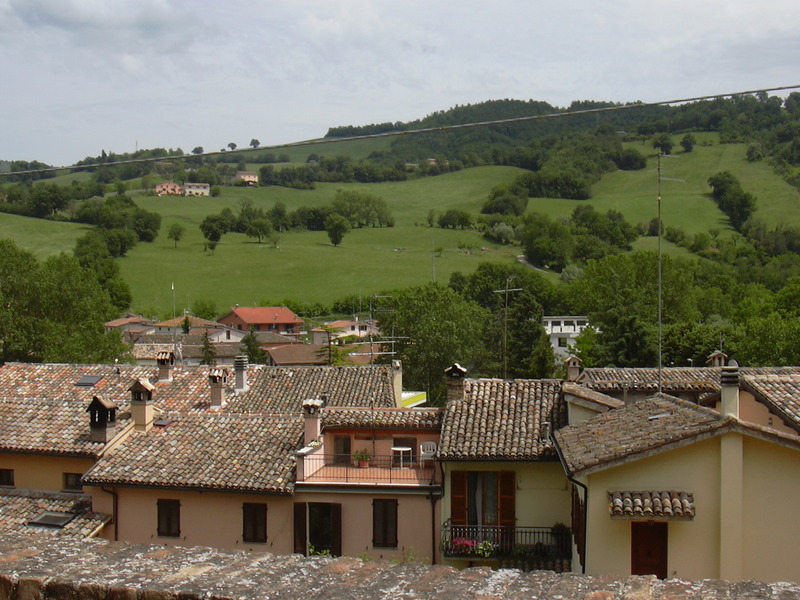 It is centrally located allowing you to reach many nearby famous cities including Urbino, San Marino, Macerata, Perugia, Assisi, Gubbio and Siena. Castelraimondo is on the train line which makes it easily accessible to most major cities, such as Rome, Florence, Milan, Venice, etc. Click here for more information on the school. 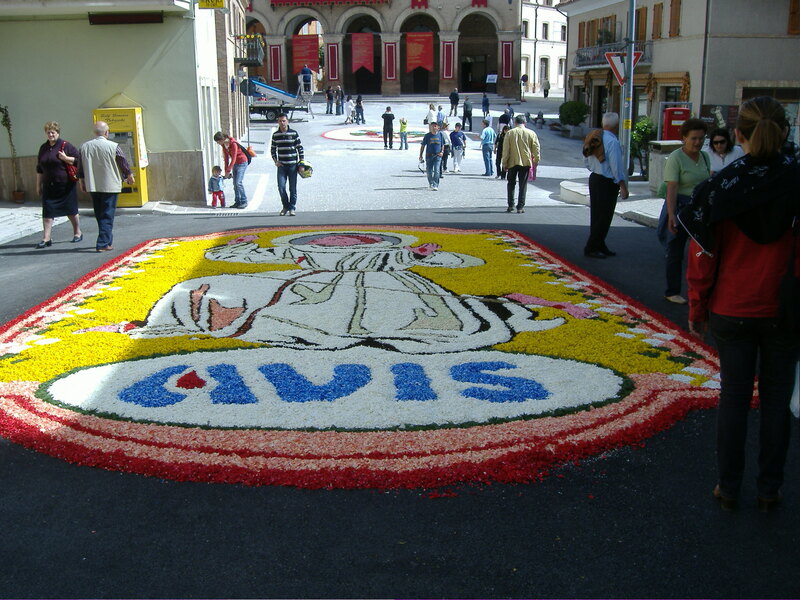 Every Friday was market day in il centro. 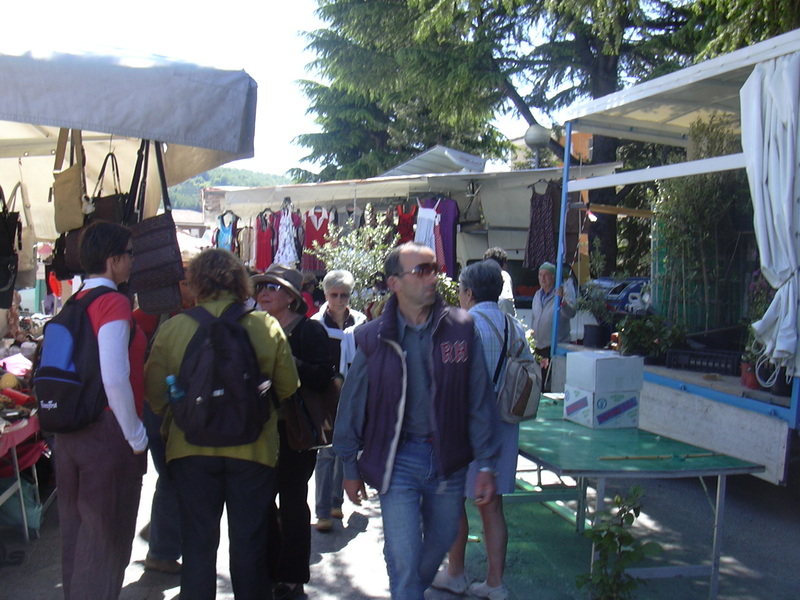 It was such a fabulous day wandering around looking at and buying the local produce, chatting in Italian with the stall owners and friends from school and sampling lots of the beautiful locally cooked foods. 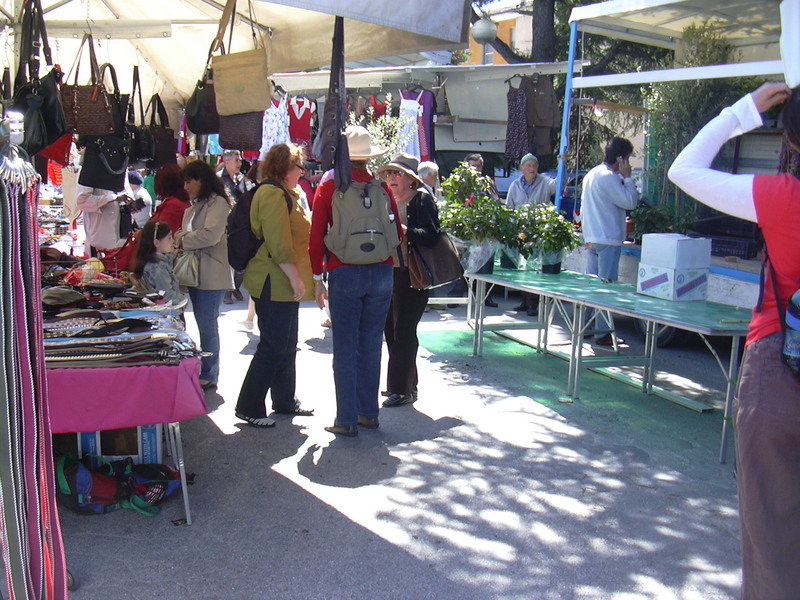 There were also lots of clothing stalls with many great bargains. I bought some lovely clothes which I still wear and love. Every day for me was living the dream. Great photos…keep up the good work. Thanx Debra, there is more to come, even better. I am following your advice and will change topics for next post. Good photos Lyn…brings back memories….